Here at Waldron Electric, we strive to carry the most up-to-date, advanced equipment for today’s electrical demands. Thermo Imaging testing is a phenomenal tool that can help discover critical problems in your electrical, heating and cooling system. 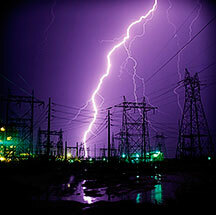 It is especially helpful after lightning strikes or surge damage. If you or someone you know have been stricken with lightning or have encountered a surge, keep all electrical devices and air conditioning turned off and call Waldron Electric to have your breaker box and wiring scanned for possible critical problems that can be detected only by our advanced diagnostic equipment. Electrical heating or A/C problems after a storm? Waldron Electric, Heating & Cooling specializes in the proper diagnostics that is required to seek out potential problems and the solutions that you need to get you back up and running safely. Thermo imaging helps us find problems when others lack this high tech equipment that helps saves lives. It is like x-ray vision, seeking out potential problems through out your home or business. Used by many fire departments nationwide, only established firms invest in these high tech machines. Flickering lights and burning smells are a bad sign. We offer priority service for these critical issues that you may be experiencing. 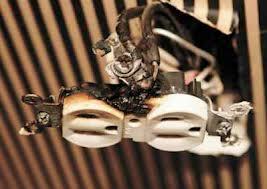 Keep your usage of electric down to a minium until a Waldron technician arrives to prevent any further damage or fires. It is recomemded to have your fuse box or breaker panel checked for damage, burning, water and rust. Flickering lights can lead to more serious problems. If you have experienced electrical, heating or air conditioning problems due to storms, call our office to day for the most comprehensive testing available. Call today to schedule an immediate appointment.